This section provides a list of interesting links to websites of hotels, flight ticket booking services, airports, etc., which may be useful for your holiday at the Costa Blanca region, such as in Alicante, Valencia, Calpe, Benidorm, Cartagena, Elche and Murcia. Click on the name of the service below and you´ll be redirected to the information you are looking for! Do you want to publish an ad in this section with your company logo and a link to your website? 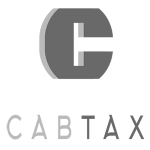 Contact us or send an email to info@taxialicante.eu. 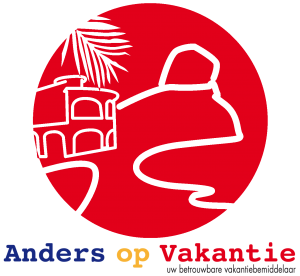 Anders-op-Vakantie will give you and your family/friends an unforgettable holiday! Anders-op-Vakantie rents out a villa and several apartments. Besides a very nice, well maintained luxury stay you also get an extraordinary service which will ensure a unique holiday. We specialize in the renting of limousines throughout the Costa Blanca whether its Alicante or Murcia, Campello, Bendorm, Denia or further . We adapt our arrangement always to your wishes. Do you want to rent a limousine with an exclusive feeling? Then reserve your limousine via SQC Limousine Service. Freddy Van den Bossche in Zwalm is a household name in the Zwalm, Zottegem, Brakel, Oudenaarde region. 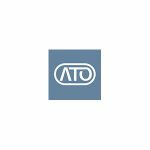 We are a father-to-son firm and have been in the running for years. Throughout the years we have become specialists in airport transport and seated patient transport. Due to the number of vans, we can briefly play on the ball in terms of timing, so late decision-makers can still contact us. On the Spanish Costa Blanca, in the middle of Valencia (105 km) and Alicante (100 km), is the quiet picturesque village, La Xara, against Denia. The beautiful, very luxurious villa, Casa Rosario is great & authentic, and has been restored in its original state, located 7 minutes from the beach. The villa is in a very quiet area on 4,000 m2. Mar y Sol Villas offers the highest level of service at the most competitive rates. 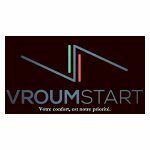 We specialise in taking care of people and their homes; whether you are an owner here on the Costa Blanca or somebody wanting to rent your special place in the sun we can take care of all aspects of your villa and apartment vacation plans. Sailing to Tabarca Island or Cape Huertas. Full day excursion with homemade food served on board, 3 hour ride with bath in crystal clear waters, or watch the sunset from the bay, they are of the options that we offer. Contact us for private events, farewells, company groups, and others. Find your ideal hotel for the best price. 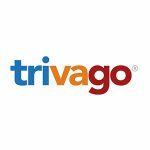 Trivago! Search, Compare and Save now! Book from 85,0000 destinations worldwide. Free cancelation. Secure booking. Best prices. 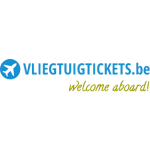 All flight tickets on one site. General information about the airport of Alicante: flights, car rental, parking, transport, hotels, street map, terminal and services. The official website from the airport of Valencia provides information regarding flights, parking, shops, restaurants, VIP lounges, etc. We have 5 bed rooms and offer our guests a wonderful breakfast in the morning. It´s the perfect holiday destination in a breathtaking location. Rent holiday apartments and villas in the Costa Blanca region. 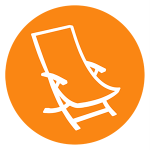 Search your holiday home online and book securely with the property owner. 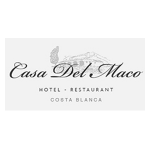 This charming hotel of 5 bedrooms – each uniquely decorated – is located at the foot of the Sierra de Bernia and is surrounded by pine forests, vineyards, olive and almond trees and it looks over the blue waters of the Mediterranean Sea. 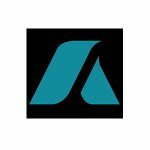 We are a small all-in company and pride ourselves on our wide experience in the Spanish property market, our highly professional services and the fact that we always bear full responsibility of our services. As an official translation agency JK Translate provides all possible language combinations at attractive and competitive prices. Are you planning to book a holiday to Spain and especially the Costa Blanca you will find this holiday site all you need for a successful holiday. 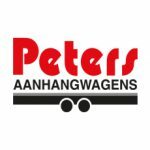 With us you can go for car rental Rotterdam area. We serve include many young individuals and entrepreneurs with our service car rental Rotterdam. 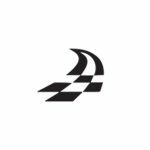 Are you looking for an affordable driving school in Rotterdam? Start today with driving lessons at the best driving school! 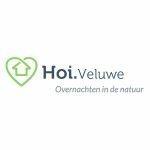 If you want to relax in a holiday home in the Netherlands, a holiday home Veluwe is definitely not a bad idea. 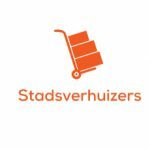 Cheap moving in Amsterdam? Removals Amsterdam does it for you! Moving Amsterdam is based on an hourly rate, so you can easily manage the costs. Do you want to buy a trailer or are you looking for 1 address where you can answer all your questions about trailers? Peter’s trailers are ready for you. Parking at Eindhoven Airport? 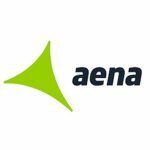 Read and compare the possibilities for parking at Eindhoven Airport. Are you looking for parking near Schiphol and not want to pay too much for a parking space? Compare all providers here. There are several ways to park at Zaventem Airport in Brussels, for example shuttle and valet parking. On this website you will find the best parking providers where you can park your car to travel safely. For many people, applying for a visa is not a daily activity. This website makes requesting a visa easy for everyone. We help you 7 days a week and will gladly assist you! You are looking for a taxi or taxi bus? Via Beleentaxi.nl we connect you easily and quickly to one of the taxi drivers and taxi drivers in your area. On Dalreizen you can find and compare 69 travel organizations to 119 destinations. Read other travelers’ experiences before booking. At goedkoophotel.nl you will find the most cheap hotels by city, as you would expect. We’ve assembled all cities to make sure that it’s really the most affordable options online. You want to rent an apartment in Calpe? We have an apartment in Calpe for rent for you. You can choose from our different Calpe apartments for rent. 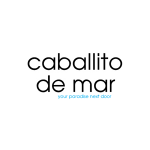 Are you looking for an apartment Calpe or apartments in Calpe? You will do that with us! Spanish course in Amsterdam? Here you can find all upcoming Spanish courses in Amsterdam from Language Corner. Nice and educational Spanish classes in Amsterdam! Quality service for all your trips whether professional or private. Our services of transport by chauffeurs of VTC and hiring of vehicles with private driver. Whether you are traveling for pleasure or for business, Airport Transfer Amsterdam offers 24/7 airport transfer from and to Amsterdam Schiphol Airport, Passenger Terminal Amsterdam, Rotterdam / The Hague Airport and transfers to and from airports in Belgium and Germany. Amsterdam Taxi-Online is a reliable and professional taxi service that puts quality first. Our drivers provide excellent service and have extensive knowledge of all roads in and around Amsterdam and Schiphol. Rotterdam Taxi Service is the taxi service of Rotterdam. Book a private taxi, business taxi, taxi bus for group transport or use our airport service. If you are in need of a low cost, high quality refrigerated vehicle or freezer van, then we’ve got just what you need. A selection of both used and new refrigerated vans. We welcome you to our zen paradise on the hills of Moraira at the Costa Blanca in Spain. You will feel at home in one of our ten rooms and at the large table of our table d’hote. 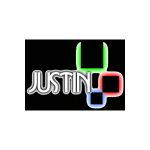 Set in the jewel of the Costa Blanca, Justin, established 3 years ago, is the premier health and beauty establishment in Moraira. With over 25 years experience as a hairdresser. Take a break to enjoy the peace, sun and sea? 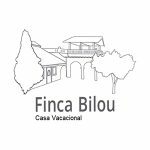 Then visit Finca Bilou. Our beautiful Finca is a very suitable holiday home for both the individual traveler and for a group of up to 10 people. Just a 10-minute drive from the sea, in the Pedramala district of Benissa – also called the Gold Coast of Spain – the beautiful, newly built luxury finca awaits your visit. Holiday Malaga offers the choice of nearly 75 unique holiday homes, villas and apartments in Andalusia. All holiday homes are located in and around the most beautiful white villages of Andalusia. Taxi and airport transport from & to Eindhoven, Amsterdam Schiphol, Brussels and Düsseldorf Airport at fixed, attractive rates. As a renowned taxi center in Eindhoven, we also offer private services at competitive prices with a high level of service. Anyone who wants information about his current car or a car to be purchased in the short term can look up a license plate with our license plate check. The details of the cars that can be retrieved in this way are clear to everyone. Renting an exclusive wedding car at PassionWithoutLimits gives your wedding day even more sparkle. Get into a beautiful car with your loved one and head towards your future. At PassionWithoutLimits you can choose from five sporty wedding cars. Visit our website or contact us for more information.